Master Tony Ianicelli 7th Dan Black Belt has been involved in the martial arts for over 40 years, he has studied and is certified under Eugene E. Ray of the former Ka-Lee Institute Bronx NY, and Grand Master Jhoon Rhee the father of Tae Kwon Do in America. Other Martial Arts Master Ianicelli has studied are Brazilian Jiu Jitsu, Thai Kick Boxing, Boxing and Karate. 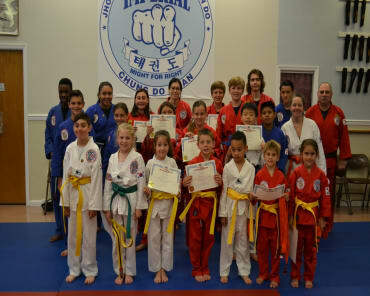 Master Ianicelli has won many Martial Arts awards and the recipient of many civic and charitable awards. His studio Imperial Tae Kwon Do Center was voted as one of the “Top Two Hundred” schools in North America by the Martial Arts Business magazine and as one of the “Most Successful Studio’s by IFC Group. Master Ianicelli is Nationally Certified and a 2006 inductee “USA Martial Arts Hall of Fame”. He and his staff will bring out the best in you!